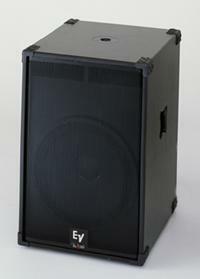 The SxA100 is a bi-amped two-way 12-inch box featuring a high-quality mic-pre, limiter and dynamic filtering. Designed to fill the gap in markets that demand portability and versatility, yet provide full bandwidth sound at even the lowest levels, the SxA100 is the perfect solution for A/V and MI markets. Designed for end-users who are looking for a total audio solution in a powered full-range box, the SxA100 really shines in portable sound reinforcement applications, including music. The SxA100 is a fully contained, easy-to-use solution for lecturers, teachers, duo and solo acoustic acts, small jazz groups, seminars and business presentations. The SxA100 is perfect for these applications and requires little experience with professional audio to get world-class sound. Simply, the SxA100 yields outstanding performance at an affordable price. Two mic/line inputs, line-level out and excellent power handling make the SxA100 a plastic box to hear! The SxA180 is designed with a modified DL18 premium transducer, optimum vented enclosure and 300-watt, 650-watt peak Class-D amplifier. Designed to fill the gap in markets that demand portability and simplicity, yet provide tight, punchy and defined bass at an SPL level of 126 dB, the SxA180 is the perfect solution for DJ, MI and AV applications. Want it loud? The SxA180 really opens up when you need it. Designed for end-users who are looking for a total audio solution in a powered subwoofer, the SxA180 really shines in portable sound reinforcement applications, including music. The SxA180 is a fully contained, easy-to-use solution for houses of worship, duo and solo acoustic acts, small jazz groups, rock bands and DJ applications looking for a powered bass reproducer. 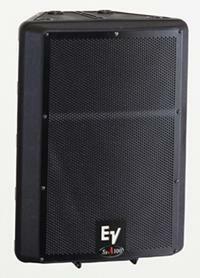 The SxA180 is perfect for these applications and allows users to get world-class sound in a minimum amount of time. Combined with the SxA100 powered two-way full-range loudspeaker system, it adds impact and extended response for a complete audio solution.